Independence is a political nightmare, a word used to justify war and destruction, meted out by self-anointed arbitrators of democracy or the pride of a nation who have shown that empires are not forever. It is also a rallying cry for those who seek to take back their own cultural and national identity. Throughout human history, independent nations and peoples have been brought together into single identifiable systems, often suppressing the individualism and rich traditions of those herded together. Despite once consisting of a multitude of independent states, countries were formed through the transformational powers of war and money. Now, however, the times may be changing, as ethnic and cultural groups seek to return to those independent states. On Sunday, clashes with police, shipped in by the government to prevent the vote taking place, resulted in over 800 Catalonians injured. The push for Catalan independence has been ongoing for a number of years. A generally broad autonomy was enjoyed until Franco’s dictatorship, lasting until 1975. After that, autonomy was regained but the powers that were granted were substantially reversed in 2010 by Spain’s Constitutional Court. In retaliation, separatists that won Catalonia’s elections created a template for a binding independence resolution. Spain’s Prime Minster, Mariano Rajoy has declared the referendum illegal and is in the process are taking control of the regions financial matters and law enforcement. On Sunday, clashes with police, shipped in by the government to prevent the vote taking place, resulted in over 800 Catalonians injured. Violent scenes at polling stations have only served to increase the determination of a separate region. The Kurdish referendum took place at the end of September and was also regarded as non-binding. Originally planned for 2014, the referendum was delayed due to combined efforts to fight ISIS, with Kurdish forces coordinating alongside the Iraqi government. 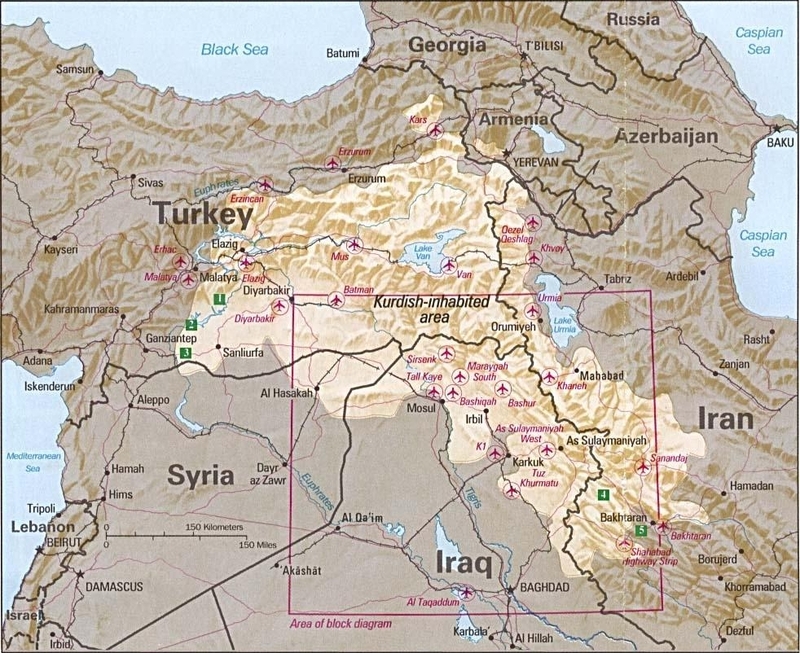 Subsequently, the Kurdistan Regional Government (KRG), in northern Iraq went ahead with the referendum which resulted in the vast majority in favour of independence. Although the KRG said this would be a move towards building a separate state, many countries have come out as against this referendum, with many stating that this is not the right time, or some, like Spain, declaring the result illegal. The Kurdish people have long yearned for a state of their own after a complex history; persecuted in Turkey, hunted down in Iraq and stateless elsewhere. Unification of a people split across a number of different countries should be remedied by providing a homeland for them. Globalisation has brought together the people of the world in many different ways, but, at the same time, this proximity has allowed a racist and xenophobic element to creep into the daylight. The Brexit referendum demonstrates how citizens have become angry with what they see as unacceptable levels of immigration and their desire to claim back the sovereignty and control of their country. As a result, people tend to move towards the perceived safety of their ‘own’ people. Separation of ethnic groups may seem a step backwards in the larger picture but in reality it could be seen as a natural reaction, both to reject those who reject them, and to find comfort in personal cultural and traditional connections. Yet independence is not always the answer. Although it is often seen as a goal by politicians, the reaction of the public may not be the same. Brexit was never expected to happen. The Scottish independence referendum resulted in a ‘No’. It is also important to look ahead to the potential problems that might develop. India descended into violence in 1947 after gaining independence, with the partitioning of India. South Sudan remains embroiled in violence. Many countries that have gained independence have had to do so through violence or war, and many remain in financial or economical trouble. Independence now seems to involve pushing someone else away. The problem is that this someone may well be a person who could make a significant contribution. Cultures and traditions are marvelous things but, in today’s modern society, they are a piece of the puzzle, not the whole picture. The risk is that national and cultural identity will override the individual’s part to play in a society. Yes, that society should regard skin colour and religion as irrelevant, but by pulling back from that kind of integration, a society ends up moving towards natural segregation. Governments must learn to allow for national and cultural identity if it is going to be widely accepted and not attacked through political maneuvers. Governments must learn to allow for national and cultural identity if it is going to be widely accepted and not attacked through political maneuvers. What does independence offer for the future? National identity and patriotism are strong pillars of a society but they also breed indifference and intolerance towards others who do not fit the criteria of acceptance. Neoliberalism promotes less government intervention and so devolved governing authorities would be a natural progression. However, the US Republican party, who work to the ideology of neoliberalism, are hardly a shining example of a unifying force. Do we risk subverting of a larger number of fractured individual states? More difficult to handle and get along with one another, this world already has enough competition and war as it is. Will this change the concept of personal identity? Will we start identifying ourselves with smaller and smaller groups of people instead of large scale nationalities? Independence is only a partial answer at best. The problems lie with the differing styles of government we have, all of which seem to neglect the individual in favour of the vast corporate and religious entities that sponsor them in the first place. We must take it upon ourselves to decide our own place in the world but we must also take the rest of the world into consideration. We are all here together, we all face many of the same problems. We should face those problems as a unified front, not as splintered factions.